The garden is demanding much of my time. With this crazy combination of belting sun followed by pouring rain the weeds in particular are flourishing. Encouragingly though all the other goodies I have planted are also thriving and we are already enjoying radishes, lettuces and peas. The first of the beans are nearly big enough to pick and various salad leaves make it to the table most evenings. What with all this horticultural activity, a couple of busy weeks judging and lots of visitors my recipe writing has had to take a back seat. It’s not that I don’t have any ideas up my sleeve, on the contrary my head is buzzing with new things to do with this seasons fabulous produce. We are coming to that time of year when we are truly spoilt and very little needs to be done to show off new vegetables and berries to their max. Simply I haven’t had time to write any of my new recipes down or photograph them. So forgive me if I take this opportunity to remind you of a few favourites, the recipes for which you’ll find on these pages, of what we are enjoying at the moment. Above you’ll see the Mighty Strawberry Mivvi, (June 2014) an enormous version of that old childhood favourite ice lolly the Cornish Strawberry Mivvi. 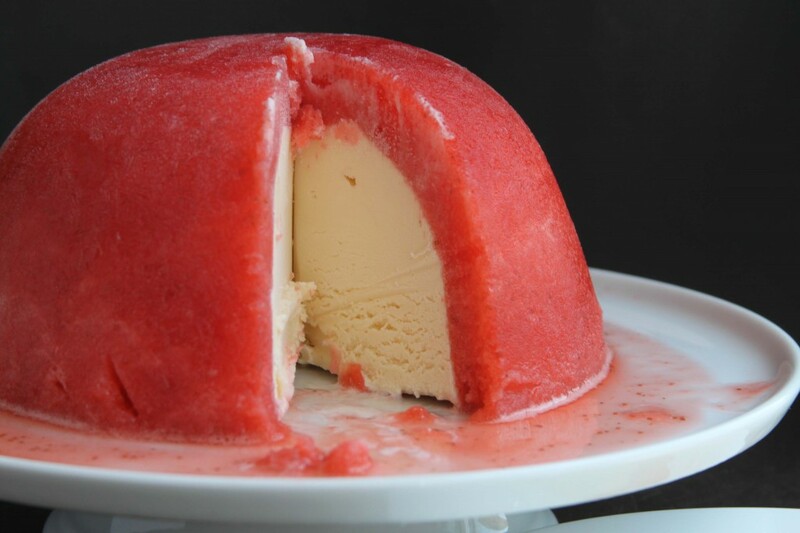 This is one of my son’s favourite puddings and as he had been away for a few days last week I made it to greet him on his return. He has nearly worked his way though it. This bruschetta finds its way onto our tables at least once a week. British tomatoes are now available and along with some good bread, sourdough being my choice, this makes a sublime starter or lunch. You will feel like you are holiday. 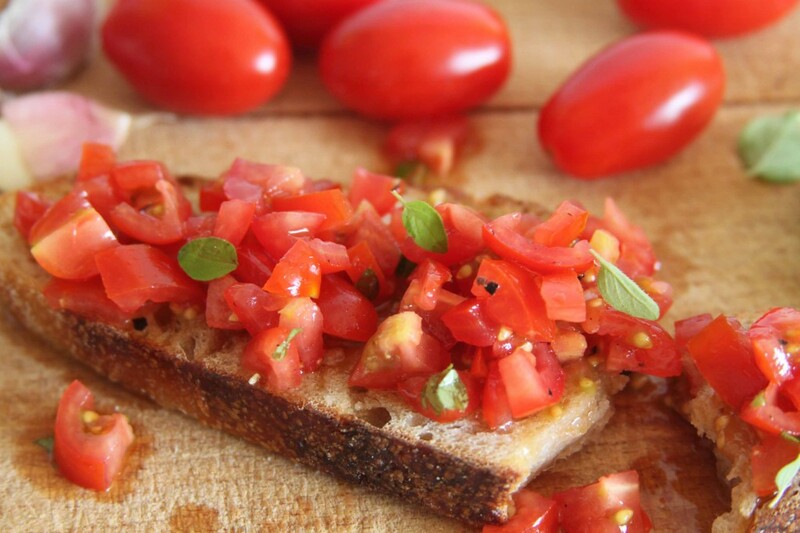 Tomato Bruschetta (July 2013). 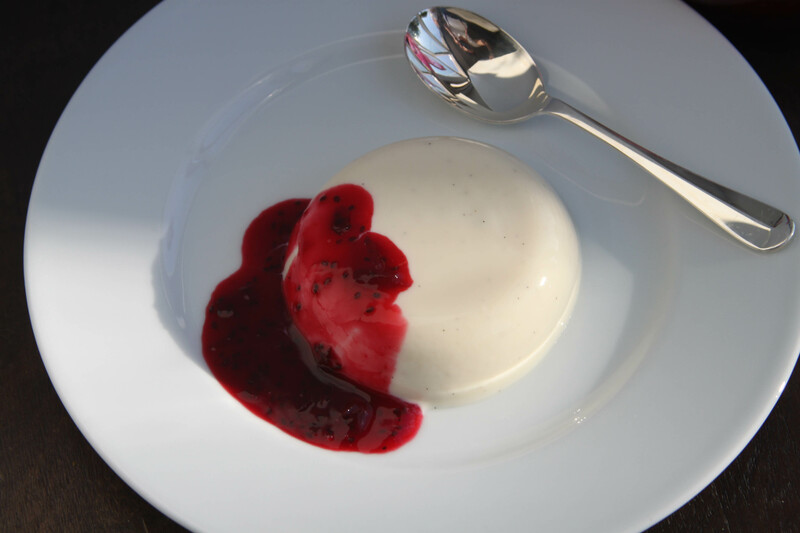 One of my absolute favourite puddings is pannacotta, not only deeply delicious but also a doddle to make and perfect for entertaining. 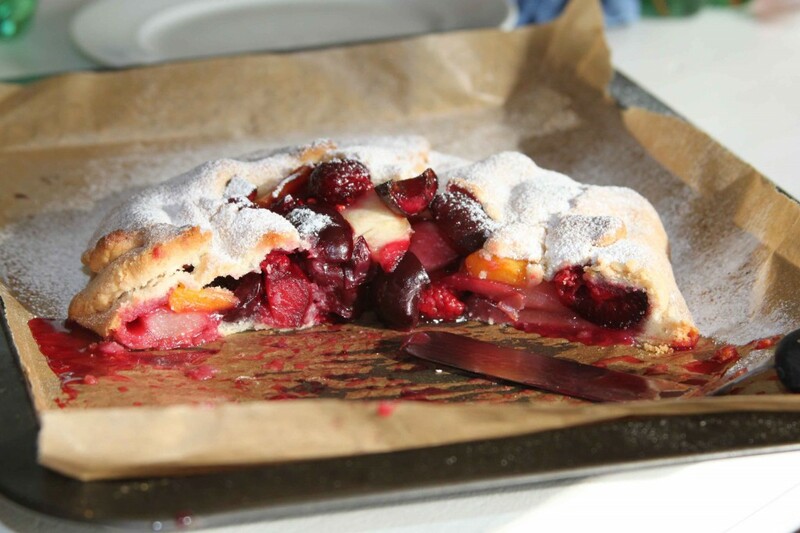 Of the three you will find here in the archives it is the vanilla version, served with blackcurrants (July 2014) that is the absolute winner. Whatever you are doing, home or away, on holiday or still at school, enjoy some fabulous summer treats and I will be back next month with new ideas to hopefully tempt you.